Pulling back the curtain on some of Tuscany’s lesser-known appellations reveals a rich tapestry of history and a bevy of stunning yet largely overlooked wines. Located just a few kilometers away from Florence, Carmignano boasts a rich heritage of viticulture and winemaking. One of the unique attributes of Carmignano is its long relationship with Cabernet Sauvignon, which according to some accounts was first planted here in the 1600s for Caterina de Medici, the Queen of France. In 1975, Carmignano became the first Italian DOC to permit the inclusion of Cabernet Sauvignon. Today, Cabernet Sauvignon (and Cabernet Franc) are commonly seen alongside with Sangiovese in Carmignano, although they are also occasionally bottled separately or in Bordeaux-style blends. The Val d’Orcia is a group of villages that essentially lie between Montalcino and Montepulciano, mostly to the south of both appellations. Gently sloping hills, curving roads and some of the most exhilarating scenery anywhere in Italy awaits visitors. It is hardly surprising a number of high profile movies have been shot here. The Val d’Orcia is both vast as an appellation and also young from a modern-day viticultural perspective. 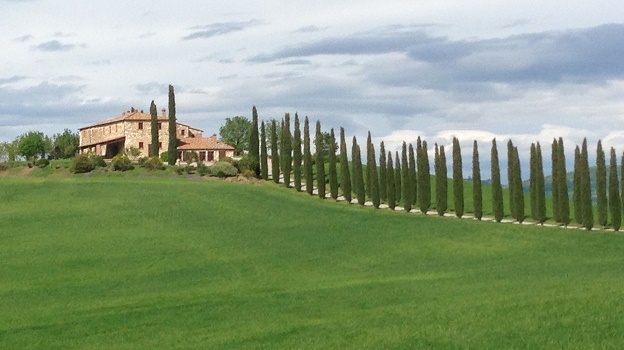 Tenuta di Trinoro in Sarteano and Podere Forte in Castiglione d’Orcia are both leading, world-class estates that are showing what is possible here. If I had to name the most exciting emerging viticultural area in Tuscany, Val d’Orcia would be it. Montepulciano is the exact opposite of Val d’Orcia. One of Italy’s most beautiful fortified hillside towns, Montepulciano also gives it name to Vino Nobile di Montepulciano, a wine that was highly prized well before Brunello di Montalcino was born. Sadly, Montepulciano seem and its wines seem relegated to second-tier status in the shadow of nearby Montalcino. The surrounding countryside is every bit as striking and evocative, though. Sangiovese, known here as Prugnolo Gentile, can take many shapes. Readers will find everything from mid-weight, floral wines that show the more delicate side of Sangiovese to more full-bodied, intense reds similar in style to Brunello. In recent years, the finest top-flight Rossos from Montalcino have become increasingly sought after and expensive, yet the best Rossos from Montepulciano remain reasonably priced, delicious reds that can be enjoyed guilt-free. Readers who want to look beyond the tried and true will find much to admire in the wines from some of Tuscany’s less heralded appellations. Best of all, with just a few exceptions, pricing remains very much favorable to the consumer. All of the wines in this article were tasted between May and July 2014. This article also includes a few wines from Montalcino, Cortona and the surrounding areas that I tasted around the same time.